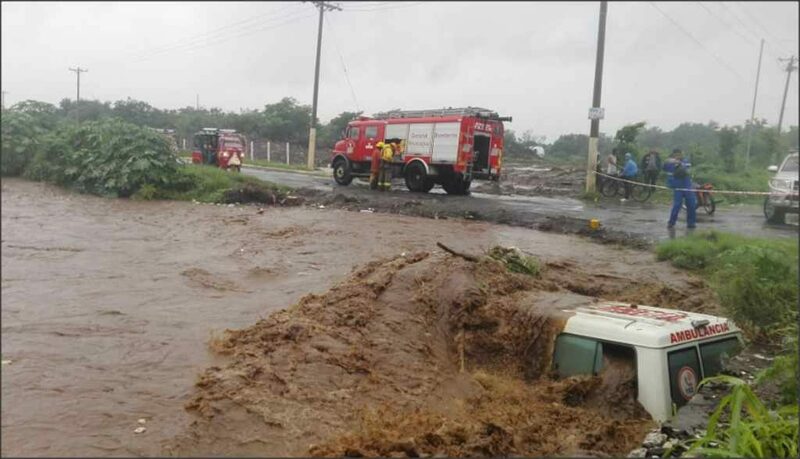 The persistent rains of the last two days have caused in Nicaragua the death of three people, dragged by rivers grown in Jinotega, Boaco and Siuna. A missing person was also reported. 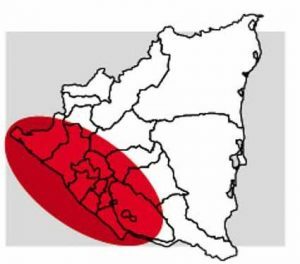 The precipitations has continued for more than 48 hours non-stop, have saturated soils of all the regions of the Pacific coast and some parts of Central Nicaragua. The storm, caused by a low pressure area with cyclonic potential located in the Pacific Ocean, has caused damage in more than 84 communities and has affected more than 1,950 homes in 11 departments, according to official reports. 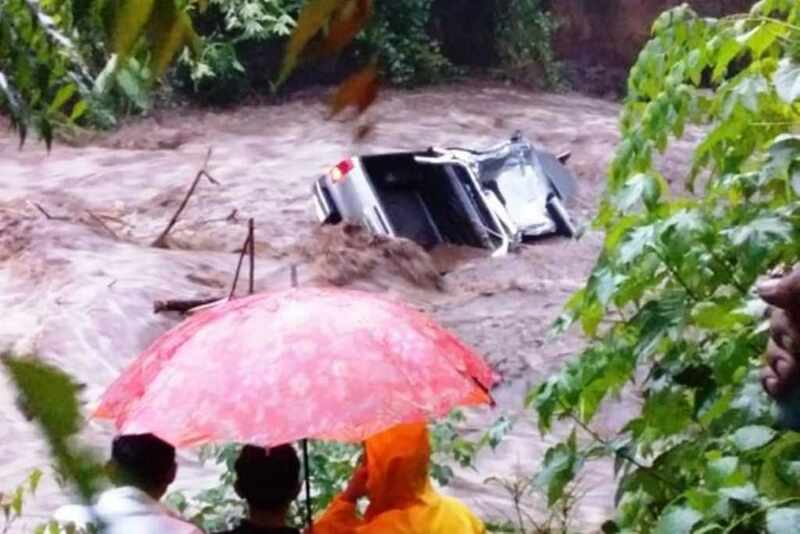 One of the victims of the rains was Jerlin Sujey Castro Duarte, 34, who was passing by the bridge La Boca del Monte, in the city of Jinotega, when she was swept away by the currents of the Viejo river. 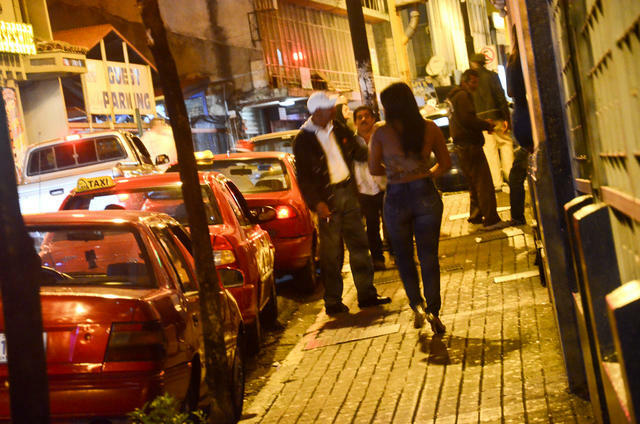 The woman was originally from the community of Wale, in Santa María de Pantasma. The second, Marvin Guido Méndez, about 60 years old, was dragged by the strong currents of the Sacal river, when he tried to cross it. The corpse was found downstream on Saturday afternoon, moments after it was swept away. The victim was originally from the Tule Oriental, in Boaco. 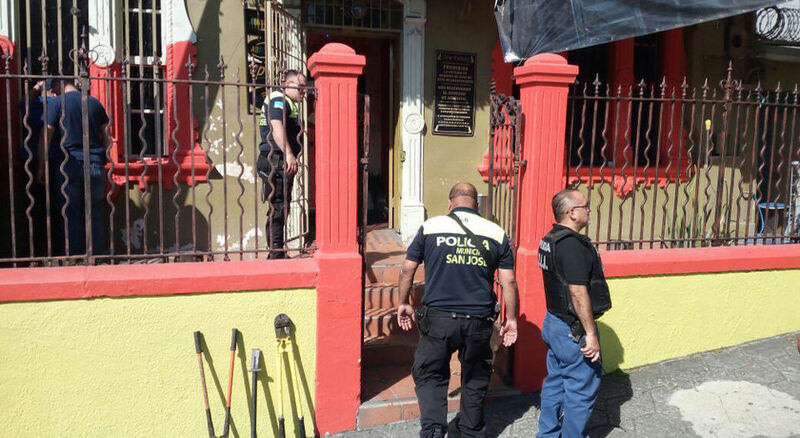 The third victim is Imer García Blandón, 33 years old. 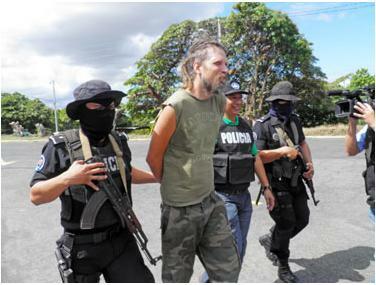 The young man was dragged along the Las Quebradas river, in Siuna, on the road to Peñas Blancas, where he was from. 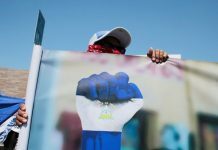 According to locals, Blandón had disappeared on Wednesday afternoon, around 4:00 pm, when he tried to cross the river; however, the body was not recovered until Saturday. 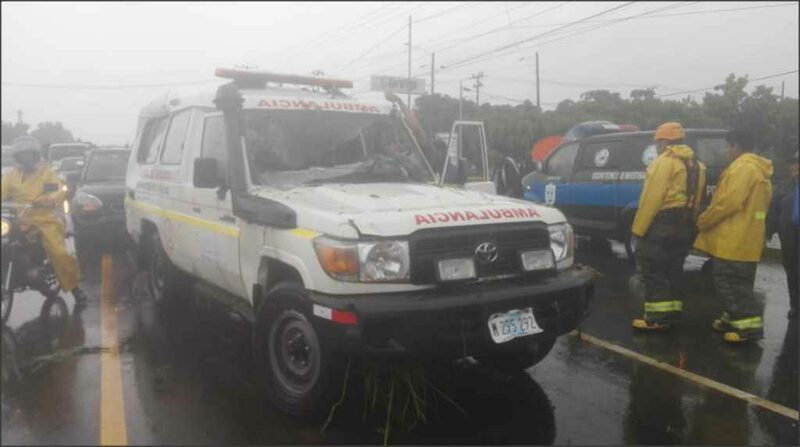 The Government reported that a fisherman is missing, after his boat was shipwrecked on the coast of Chinandega, in the community of Mechapa. The search continues. At kilometer 14, on the new road to León, an ambulance raced into a channel, The six people in the vehicle were able to get unharmed. 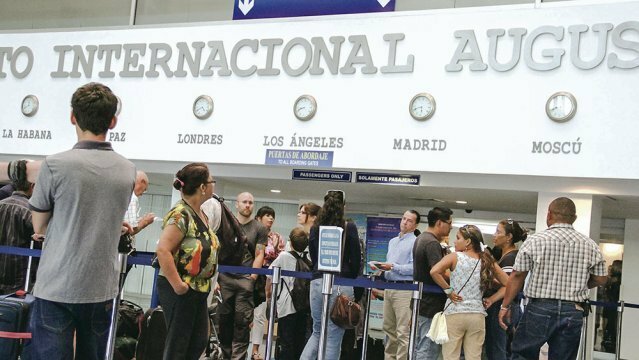 The National Hurricane Center in Miami warns that the phenomenon has been stalled in Central America and that it will continue producing rains at least until the beginning of next week. 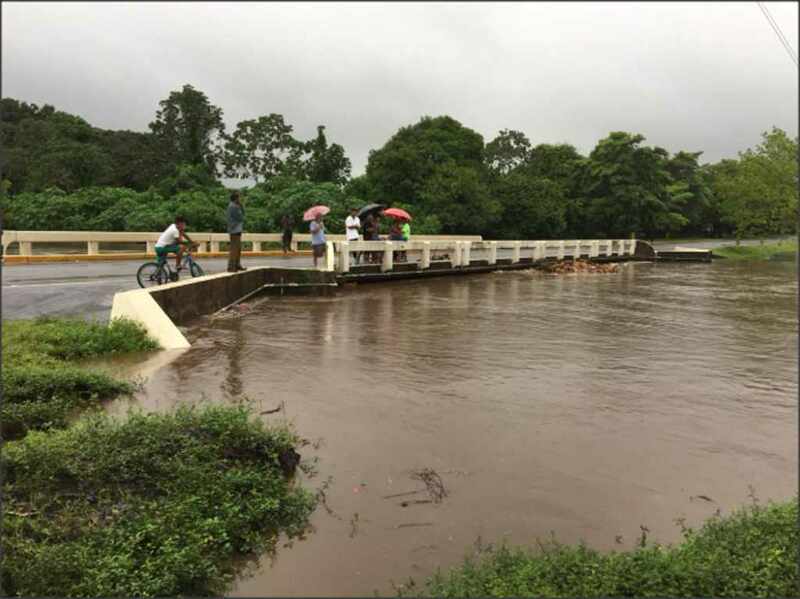 More than 15 rural communities in the municipality of La Conquista, in Carazo, were isolated by the flooding of the Cascalojoche river. 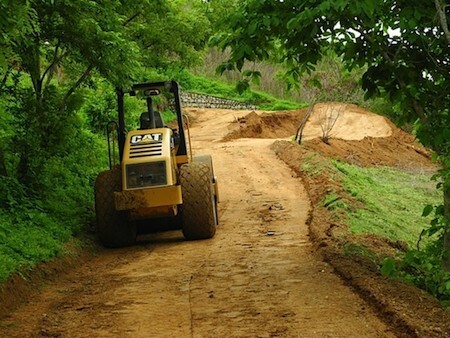 Among the most affected communities are La Solera, San Gregorio, La Pita and La Pitilla. 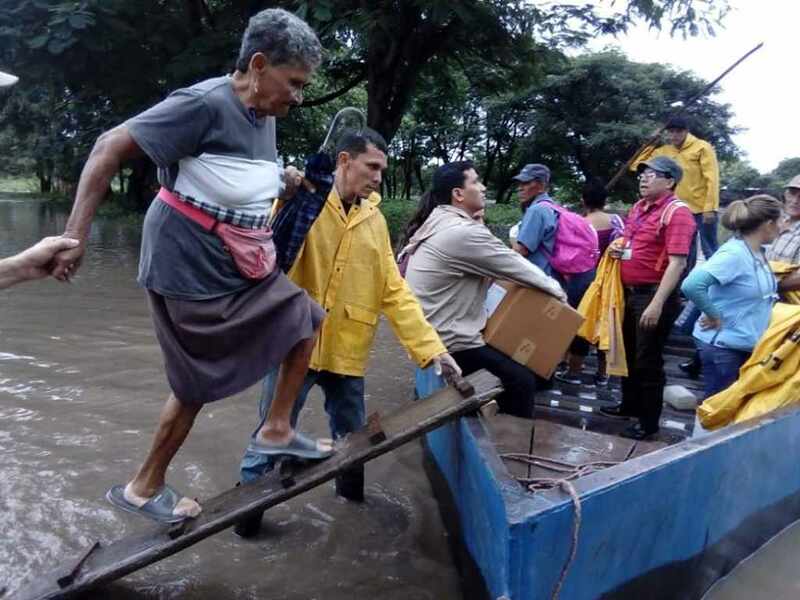 On Saturday the water reached the bridge that links Casares with the communities of Tupilapa, Huehuete, El Tamarindo, Playa Hermosa, El Ojochal, among others. “Transport has been suspended since yesterday, the river overflowed, the bridge cannot be seen, you can not go by car, and less on foot, the force of the current in this river is brutal, the same thing happens here every year”, said Francisco Guido, an inhabitant of La Conquista. 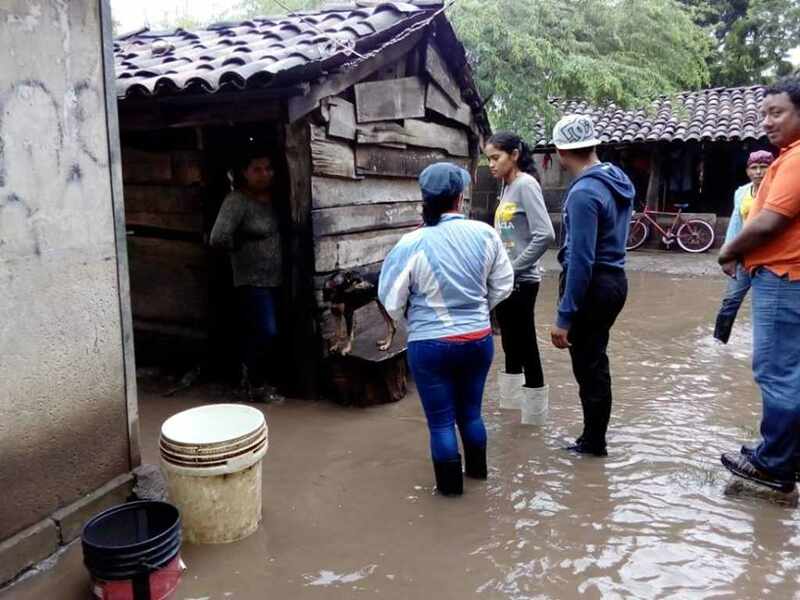 On Saturday, the Tamarindo river, in La Paz Centro, increased its flow and according to local authorities, the rains could affect some 20 families settled on its banks. In Masaya, some four houses were destroyed in the Monimbó neighborhood, after trees fell on them that are mostly made of boards and zinc. Those affected reported that at the time of the incident there was no one person inside, so they thank God that they only had material losses. The strong winds have also caused the lifting of some roofs because the houses have been left out in the open. In Rivas, strong waves that were registered in San Juan del Sur dragged to the coast a fishing vessel, identified as El Vikingo 2. The boat remained anchored in the bay about 200 meters from the coast and according to San Juan del Sur tourist entrepreneur, Jorge Aguilar, it did not resist the strong waves. In the Esteliano municipality of Pueblo Nuevo, families from at least 12 communities located in the southern part of the town were isolated due to the huge flood of the Rio Grande. In La Trinidad there was a landslide in the sector located opposite the west side of Cerro La Mokuana. 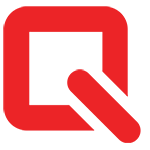 This fact partially affected the walls of two houses, located in the Linda Vista neighborhood. Two families made up of seven people were notified that they would be evacuated. 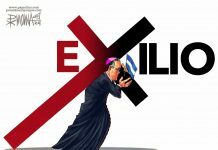 In Matagalpa, Madriz, Estelí and Nueva Segovia, 40,000 people did not have electricity until yesterday. The rains have caused the floods of the different rivers and streams, in Boaco, Santa Lucia, San Lorenzo and Teustepe. 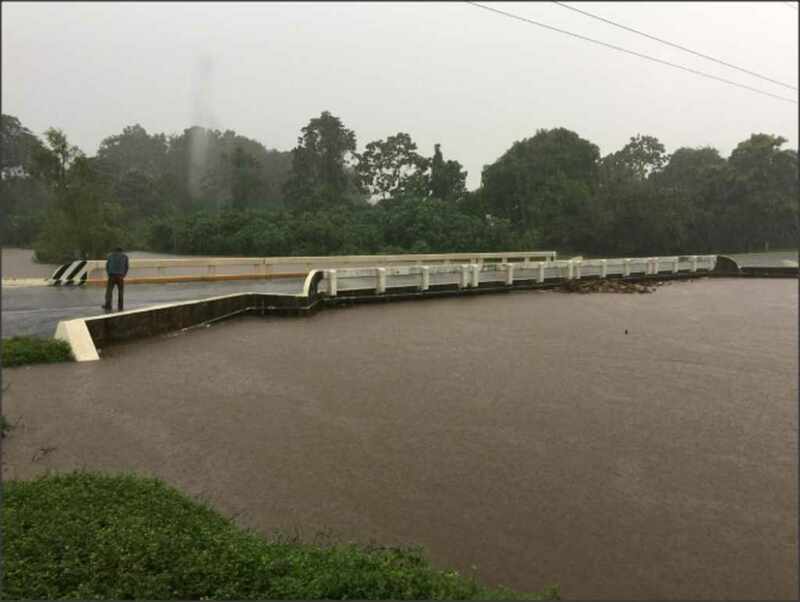 The overflows do not allow passage on some roads, such as the Santa Lucia bridge, coming to Boaco, the Teustepe bridge and El Recreo, among other streams and fiords. Yesterday afternoon the bus transport that covers the route of the Floripón-Siuna community was dragged by the Yaoya River when it tried to cross it. 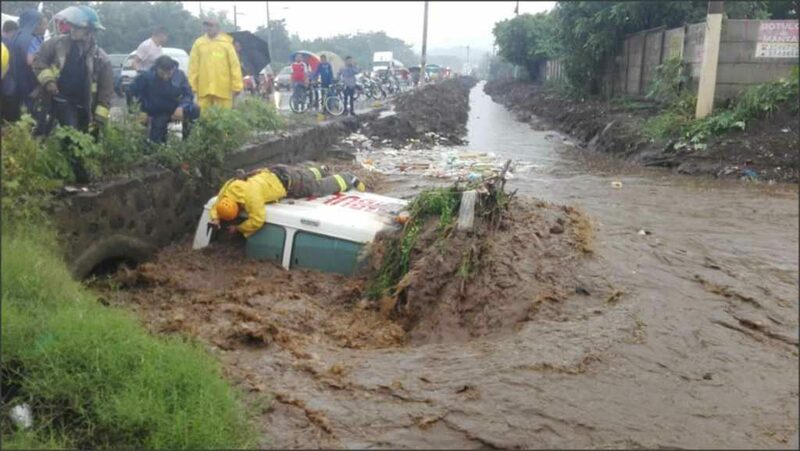 The river was swollen by the heavy rains and fortunately, the driver and his passengers were unharmed in the incident. 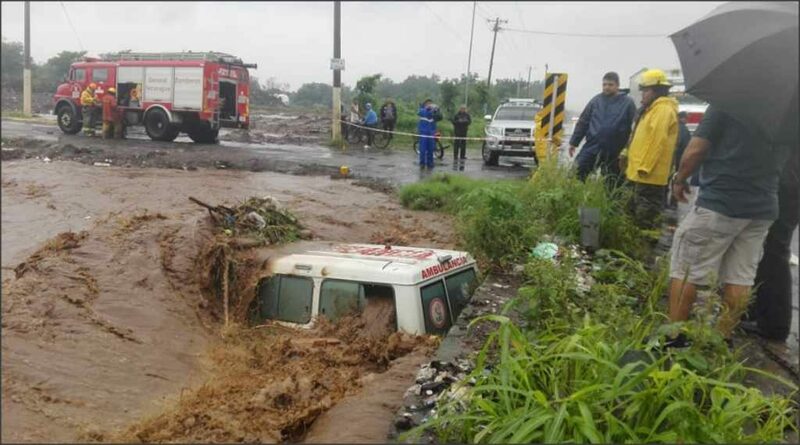 In El Salvador up to yesterday, there was a deceased and 253 homes flooded in the last 24 hours, according to the General Directorate of Civil Protection. 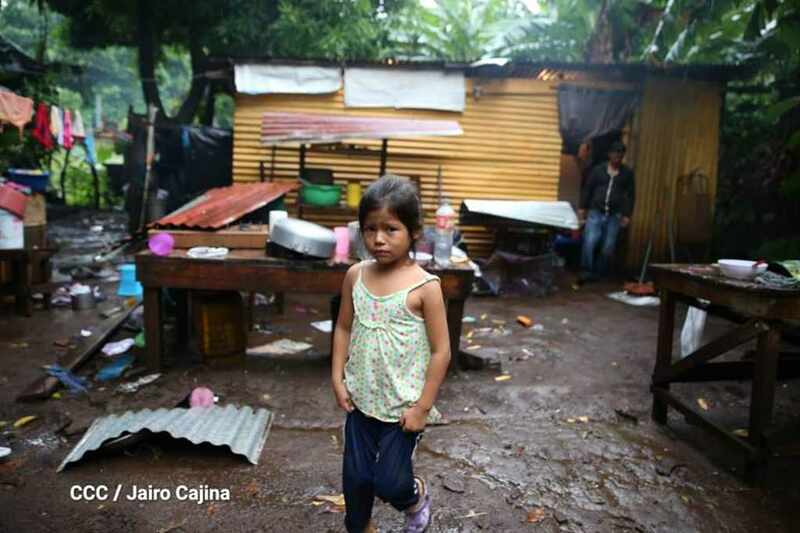 In Costa Rica, some three thousand people were evacuated from their homes and taken to shelters in the north and central Pacific. 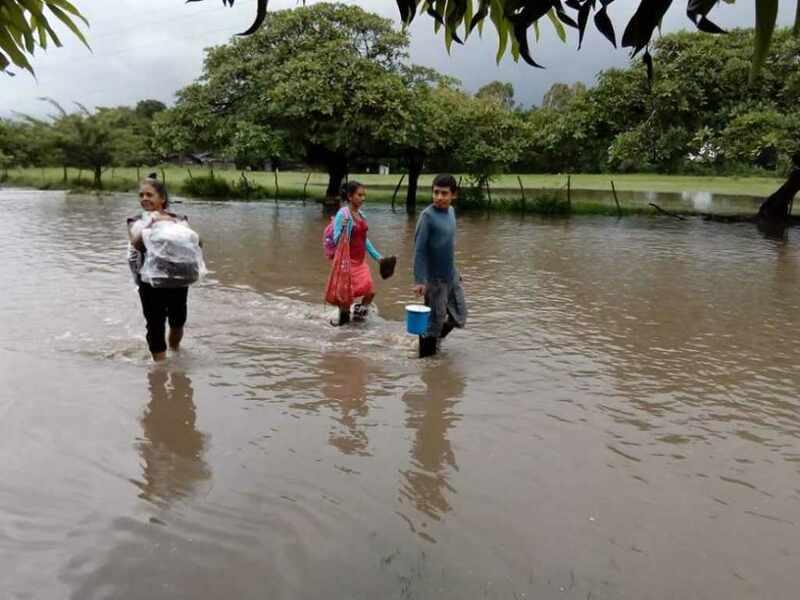 The government authorized 29 shelters to receive 2.793 people who had to leave their homes because of the downpours that began on Thursday and caused flooding in several communities, especially in the north-western Nicoya Peninsula.